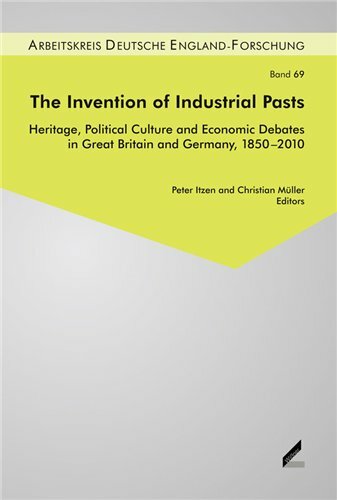 The essays in this volume trace the diverse uses of local and national industrial heritage cultures in an environment of changing European and worldwide industrial and economic settings. Our contributors illustrate how architects, intellectuals, politicians, and curators in Britain and Germany tried to preserve the heritage which was built and transformed over the last two centuries. The volume focusses on how life in industrial societies is remembered on political and general public levels, and how this memorial culture shapes everyday-life, forms new institutions and associations and informs political and social debates. The different perspectives which are combined in this volume shall provide an introduction into the various fields and topics of industrial heritage within the broader research context of memory, identity and heritage studies in modern history. Contributors: Stefan Berger, Walter Buschmann, Peter Itzen, Kati Layton-Jones, Peter Mandler, Christian Müller, Emily Robinson, Jörg Roesler, Richard Stinshoff.